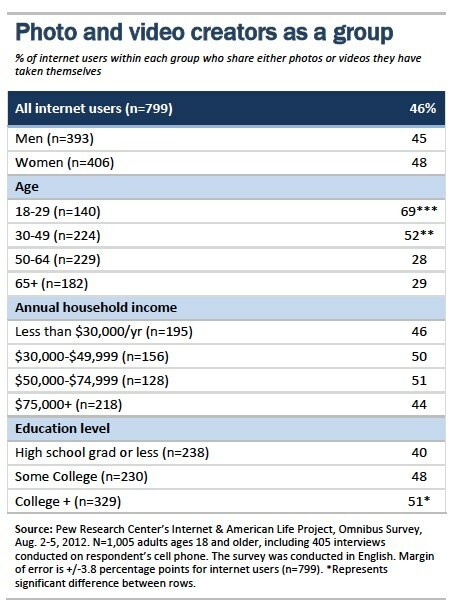 The Pew Research Center’s Internet & American Life Project has released a new research report that looks at the use of photos and videos online. 41% curate photos and videos they find elsewhere on the internet and post on image-sharing sites. This is the first time that the Pew Research Center’s Internet & American Life Project has asked questions about Pinterest, Instagram, and Tumblr. The full report offers more insights.